This is a very small issue which may occur to Windows VPS users. Just follow the simple steps below to fix this issue. Press OK and Login to Windows. Yours will of course have different computer descriptions, names and Workgroup names. 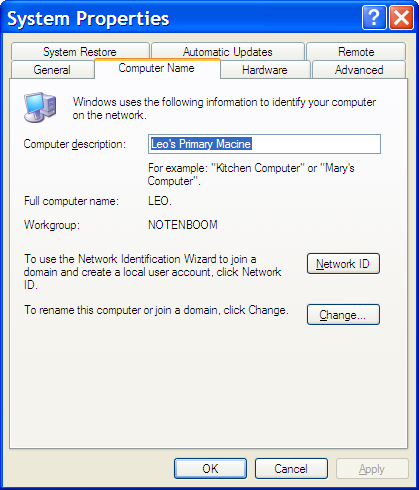 As you can see, you can change your computer name to whatever you like, or change the Workgroup it's a part of. (You probably want all the computers on your network to be a part of the same Workgroup to enable file sharing more easily.) Once you change the computer name, OK your way back out. Reboot and you will see that the error message you were seeing is now disappeared.